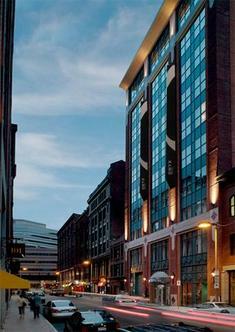 11-story newly constructed building in historic downtown Boston, a stone's throw from TD Banknorth Garden, Faneuil Hall and North Station. The boutique Onyx Hotel incorporates rich materials and artful design throughout, as well as warm, attentive staff who generously respond to the needs of each guest. Our environmental program, Kimpton Hotels EarthCare, supports a sustainable world by using non-intrusive, high quality, eco-friendly products and services, including In-Room recycling bins, non-toxic cleaners, organic honor bar items and water/energy efficient measures. Kimpton Hotels EarthCare products and practices are based on California Environmental Protection Agency (EPA) Green Lodging Guidelines.